I just returned home from another beautiful cruise aboard my beloved Enchantment of the Seas. Here are a few photos from our adventures on board. First night at sea. 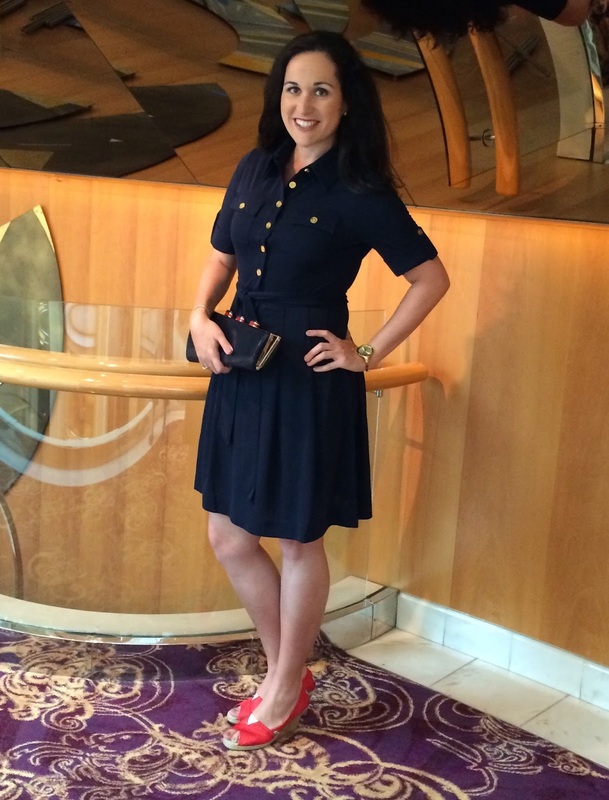 I always love wearing something nautical-inspired!